Before you get started adding the Device Magic Add-In, please note that this Add-In is only available for users with a “Security clearance” of “Administrator”. When logged in to your Geotab account, go to the Administration section and click “System Settings”. Under the “Add-Ins” tab, click the “New Add-In” button. Once in the “Add In” section, on the “Configuration” tab, copy and paste the following text into the text box. Once you have pasted the code, underneath the text box, click “OK” and then click “Save”. You’ll see a notification informing you that the Device Magic Add-In has been added to your list of Add-Ins. After refreshing the same page, you’ll also see that Device Magic has been added to your sidebar. At this point, you’ve installed the Add-In and now you’re going to link your Device Magic account. To find the Device Magic Organization Number, navigate to your Dashboard within Device Magic. The organization number will be at the end of the URL. 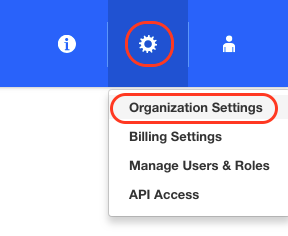 Your Device Magic API Key can be found by first clicking on the “Organization Settings” link on your Dashboard. 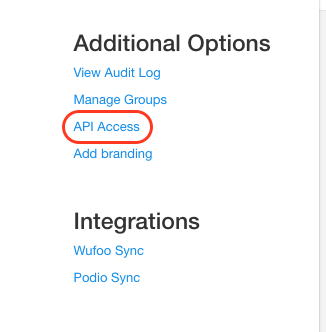 Then, under the “Advanced Configuration” section click “API Access”. After, copy the value underneath “HTTP Auth Header Value (base64 encode of "your_api_token:x")”. Finally, input these details back in Geotab and click “Link”. After successfully linking your account, you will see your list of forms. From here, your Device Magic account will be linked directly into Geotab. You can then assign vehicles to devices, send dispatches and review submission history. As always, feel free to reach out to our Support Team at support@devicemagic.com.